Laid down, 12 October 1942, at Consolidated Steel Corp, Orange, TX. 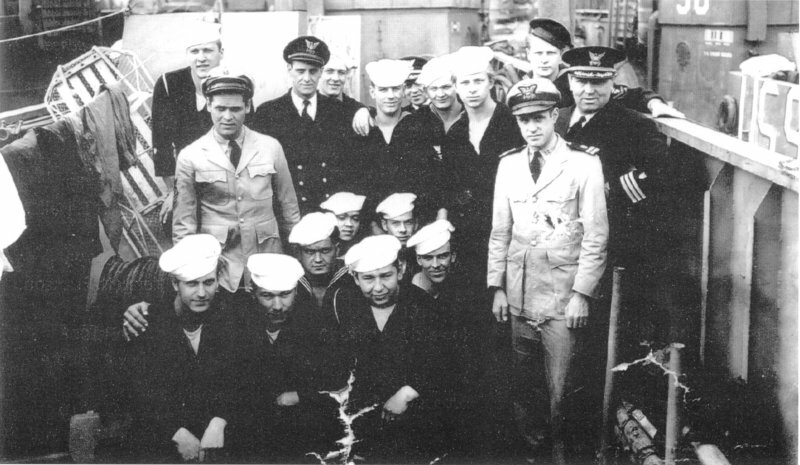 Decommissioned, 9 April 1946, at Galveston, TX. 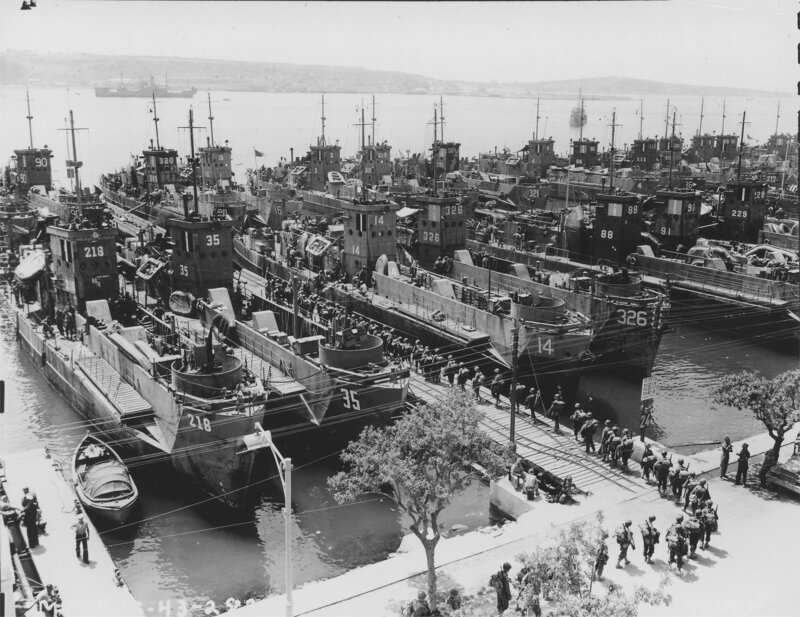 USS LCI(L)-94, massed at Bizerte, Tunisia, 6 July 1943 while loading troops for the invasion of Sicily. 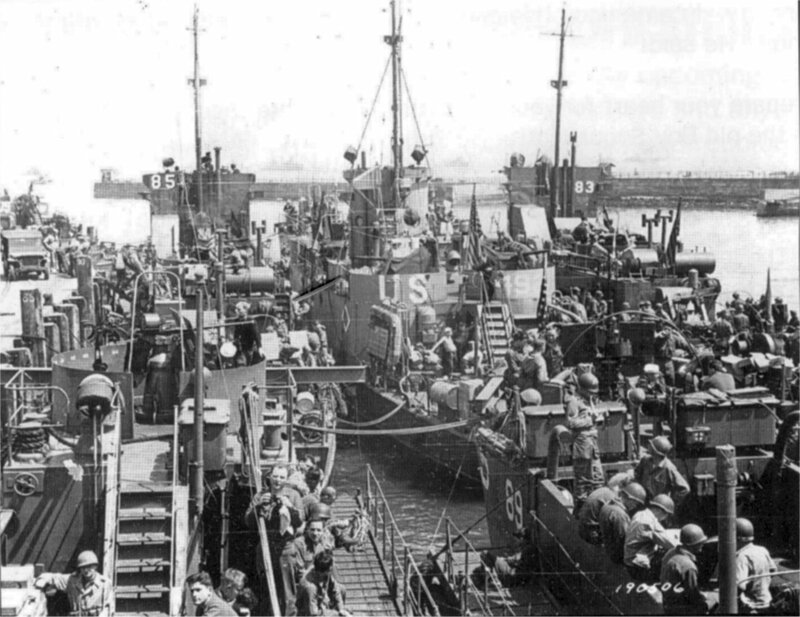 250k USS LCI(L)-83 USS LCI(L)-492, USS LCI(L)-85 and USS LCI(L)-89 in a British port while loading troops for D-Day (Normandy), circa 4-5 June 1944. 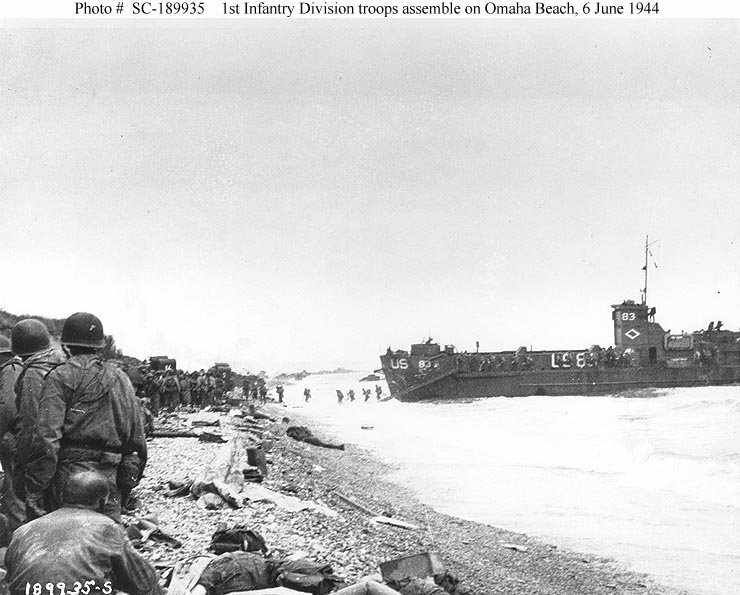 83k USS LCI(L)-83 landing more men while troops of the 3rd Battalion, 16th Infantry Regiment, 1st Infantry Division assemble on a narrow strip of "Omaha" beach before moving inland near Collville-sur-Mer on "D-Day", 6 June 1944. On 17 June 1944 LCI(L)-83 struck a mine upon landing and lay disabled on the beach, until her hull was patched and she was able to get underway. US Army Signal Corps photo # SC 189935 by Taylor. Photo is from the US Army Signal Corps. collection at the US National Archives. US Naval Historical Center and Joe Radigan MACM USN Ret.